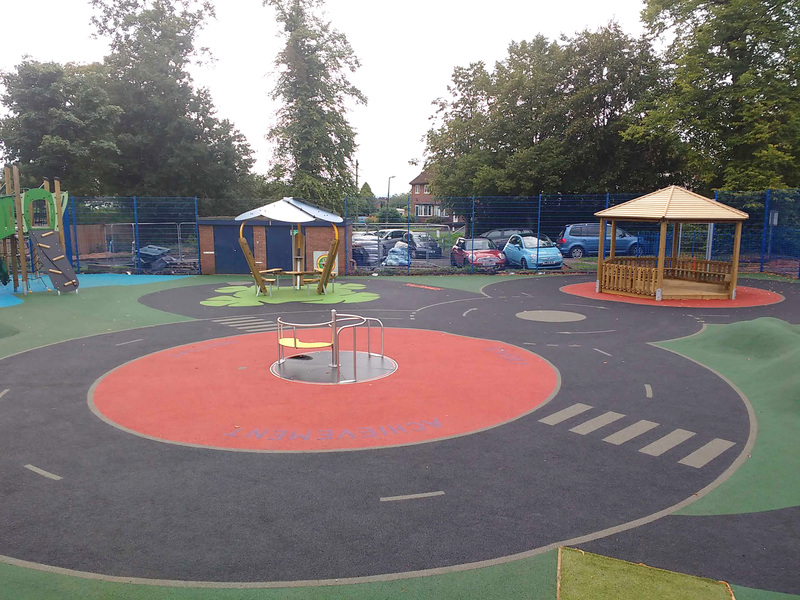 Children have always been drawn to the stars and the cosmos- a huge, wide space full of possibilities and adventures. So is it any wonder the new play area at Pontyberem Community Centre hints that great adventures are to be had? 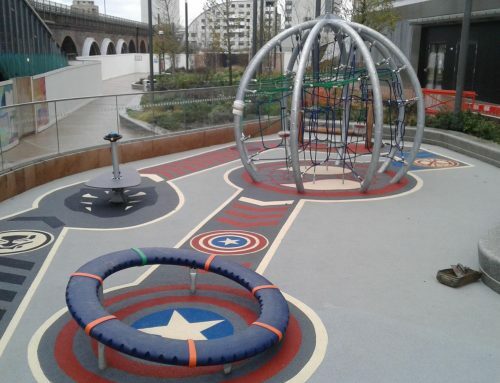 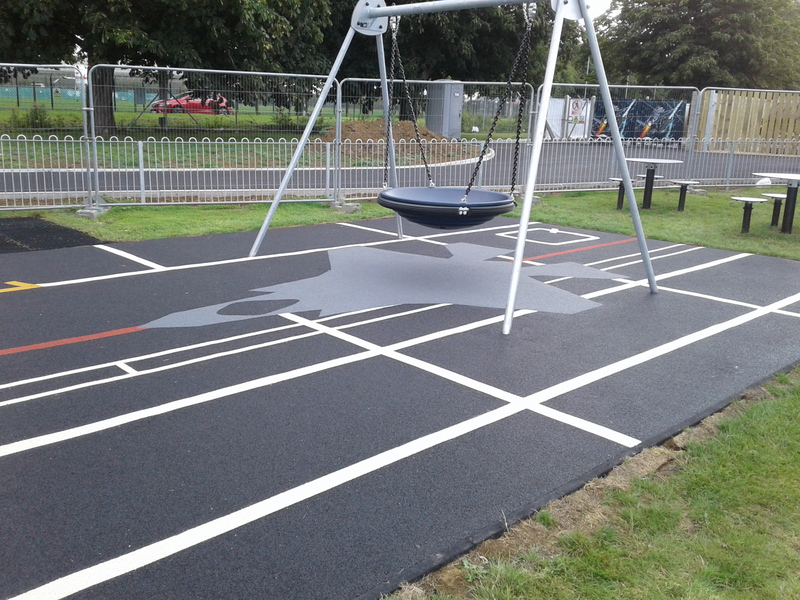 Working on behalf of Playdale we installed surfacing full of soaring rockets, shooting stars and swirls. 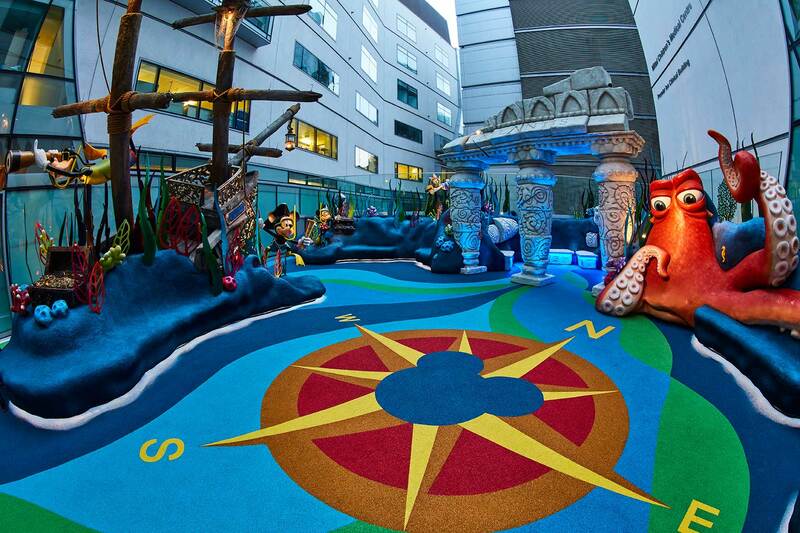 All of the graphics were hand laid, as each of our install teams completes rigorous in-house training to ensure no design is beyond their limits. 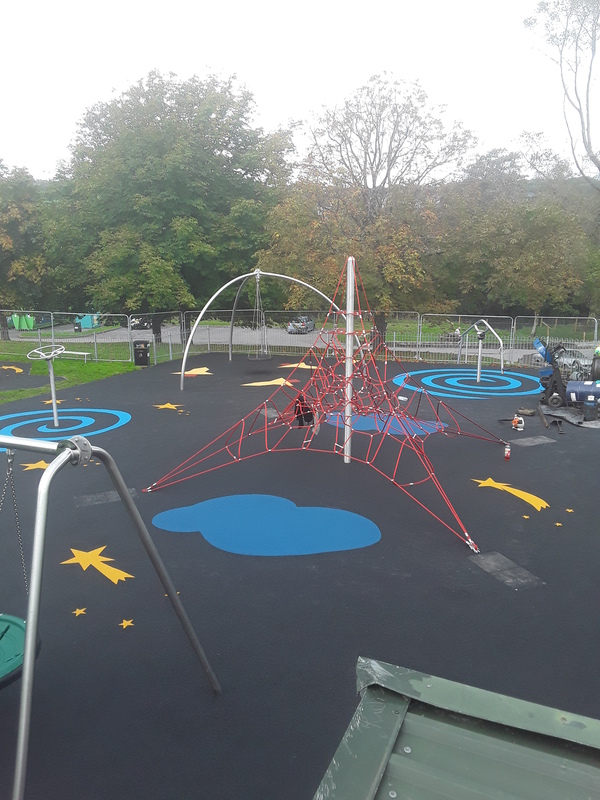 The project was completed in two phases and included over 600m² of wet pour surfacing, with our team spending a total of eleven days in Llanelli, Wales over the two visits. 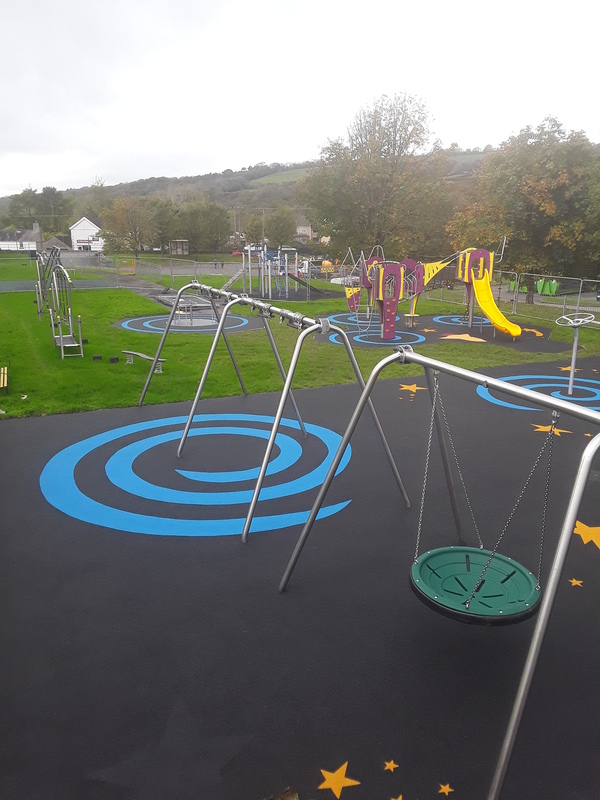 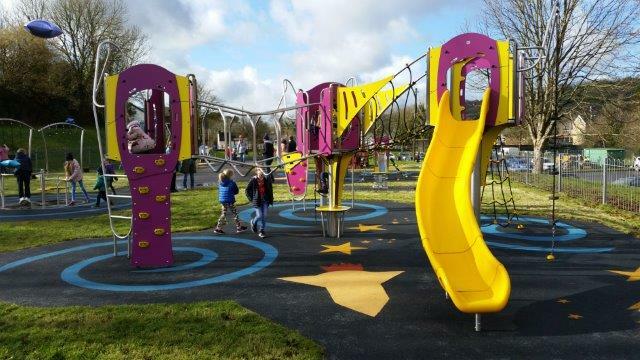 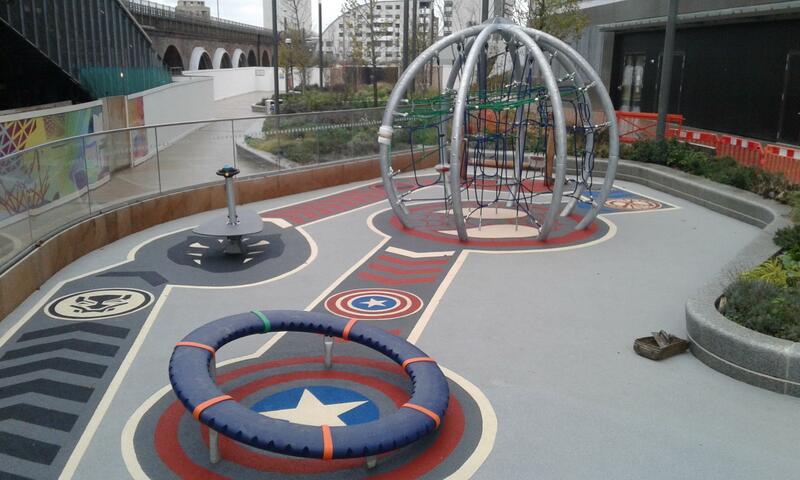 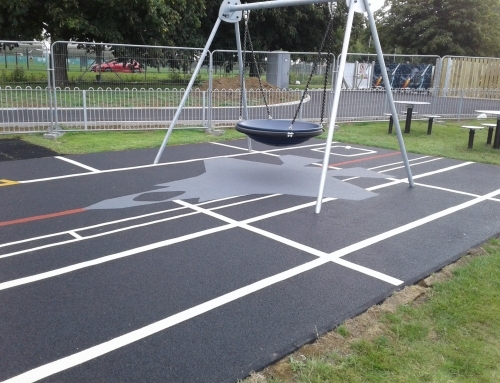 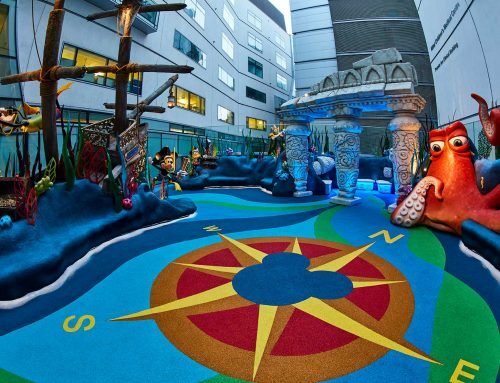 To ensure children were safe as they played, and that all of the relevant regulations were met, we installed the play area surfacing at depths ranging from 40mm to 80mm in line with Playdale’s equipment. 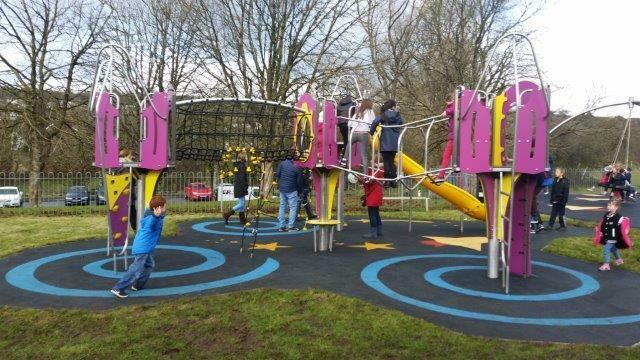 As you can see from the open day, the local children loved exploring the new play area, and it sure to be a great resource for families in the ex-mining town. 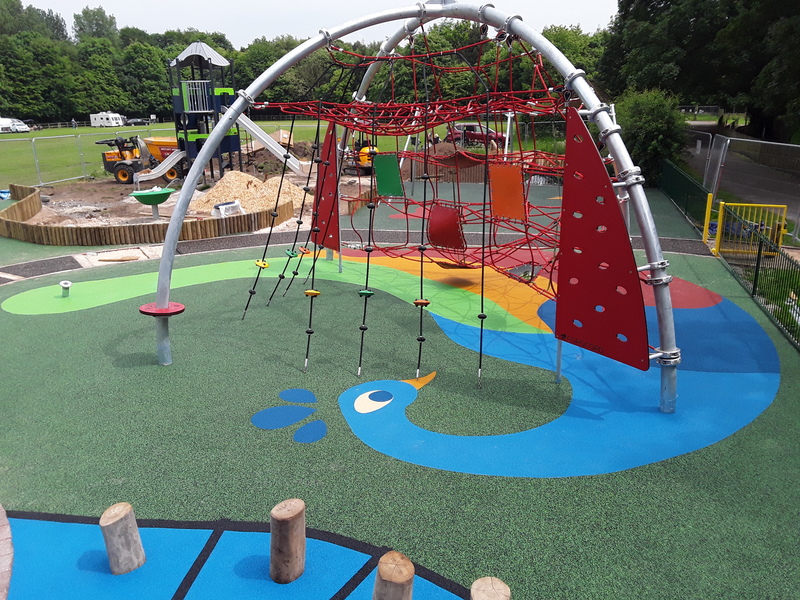 If you would like to know more about this project, or need advice or estimates for your own play area, please just get in touch.